FREE! ! Hit here for other WheelChairs gave away. Jimmy Johnson receives a Free Wheel Chair. 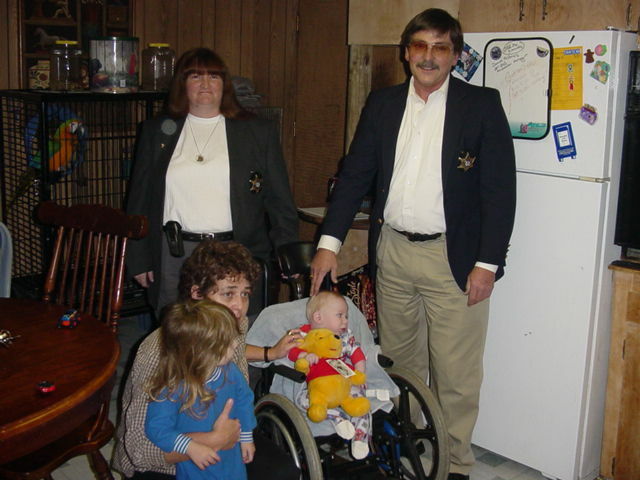 Below is the Wheel Chair Jimmy received. This Patrol Car has over 300,000 miles. Delivering items to hospital ER's, Ambulance Services and Fire Departments all over the Mid U.S. Its now time for a new patrol car. We are asking if anyone knows of the best deal on a new car. Please feel free to e-mail with any information. Thank You. The last counter filled up. This is a new one. If you have anything you would like to add to this link please e-mail.